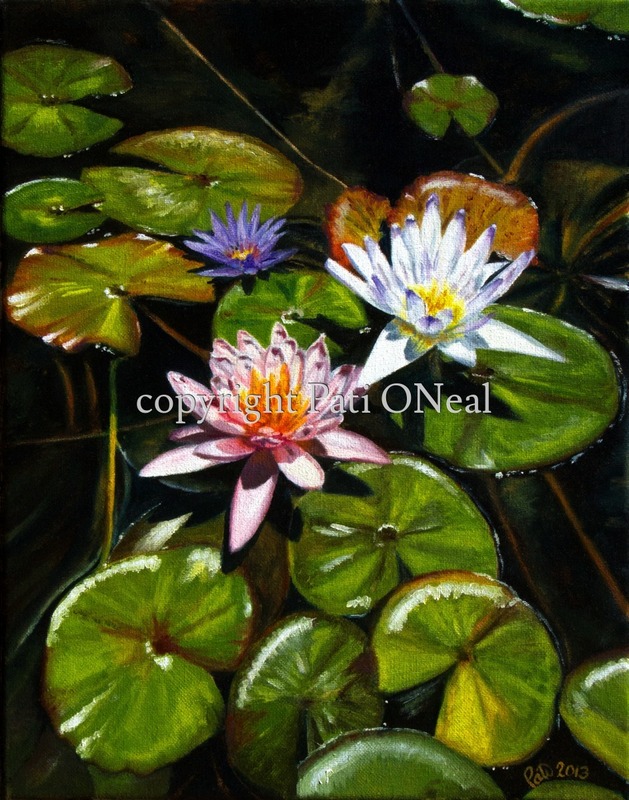 A lively composition of water lilies on a bright sunny day. Original oil on canvas, sold. For a similar commission, contact the artist.